After wasting all of last weekend laying around watching movies and eating pizza, we decided it was necessary to pry ourselves off the couch and get back out to see something new. Don't get me wrong, I LOVE wearing sweatpants, watching trashy reality TV, and eating carbs, but there's only so much laziness my body can handle. It's my longing for all things "fall" that has created this lazy mood. I have been cooped up with my pumpkin scented candle, scrapbooking and turning the A/C up so it's appropriate to wear a hoody. But eventually I had to head outside in the still-too-hot weather and face the facts. 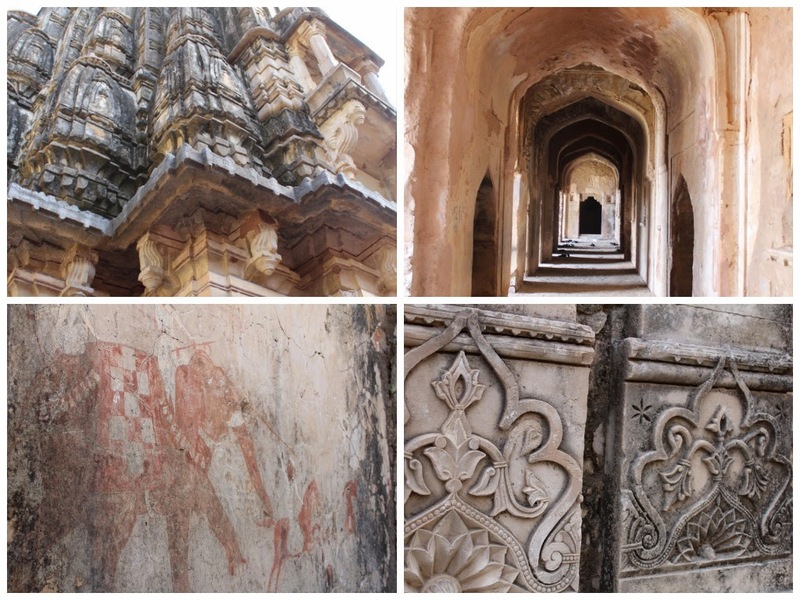 With a recommendation from one of Matt's co-workers, we made the two hour drive to Bhangarh Fort. I invited my friend Isilda and Matt's co-worker Ryan visiting from the U.S. Isilda LOVES India, so she is a refreshing influence on me. 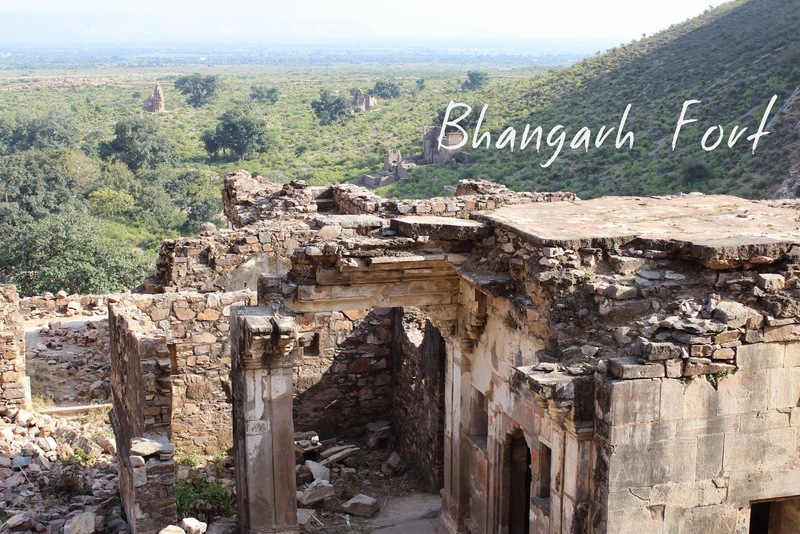 Bhangarh is a "haunted" deserted village from the 17th century. My driver referred to it as "Old Jaipur", but now it is said to be cursed so it is merely a tourist destination. Since the fort is not very close to the main attractions of Jaipur, it was all Indian tourists and lots of school field trips. Even though we were the only foreigners, we were not bothered, and it was really pleasant to walk around in a green, quiet space. These are ruins of the old market. 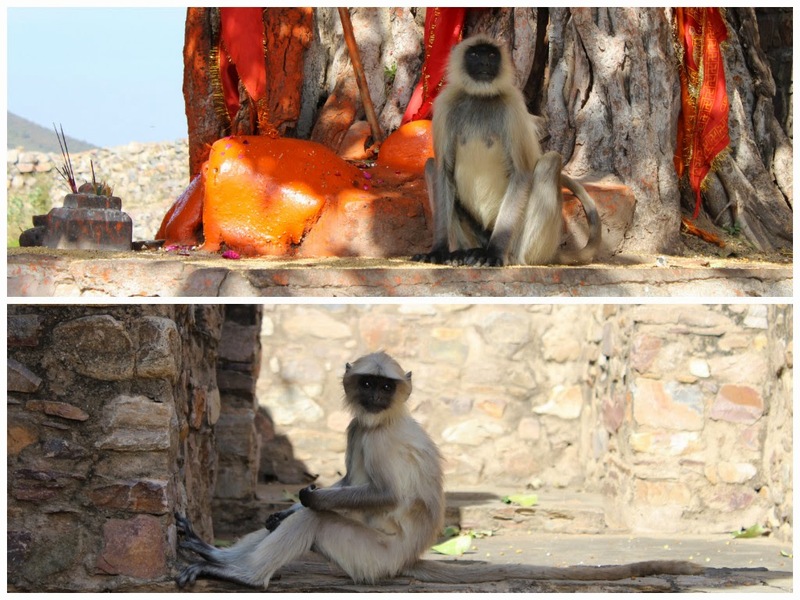 Gotta have pictures of monkeys. Impossible to go anywhere in India without seeing dozens of them. I give this place two thumbs up. Peaceful, not crowded, and green. Just make sure you use the bathroom before you go...the toilet situation is "not possible". Have you tried staying the night in the Fort?